This year, I am celebrating ten years of practicing optometry! During that time, many patients have asked my opinion on eye related beauty regimens and products. Today, I thought I would share answers to some of the most asked questions and show you which products I love to use on my own eyes! 1. Apply your eyeliner under your lash line. 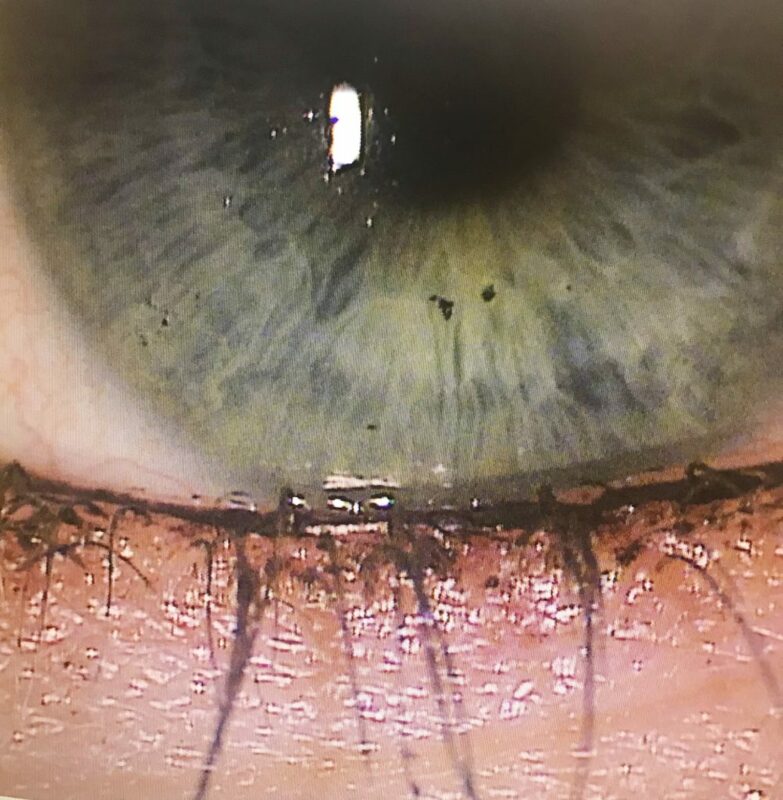 Some people may be in the routine of applying eyeliner to the ‘water line’ or inside of the eyelid….. This can make your eyes itchy, dry and slightly red. When applying the eyeliner over that delicate tissue of the eyelid margin, it is blocking the passage of your eyes’ natural oils. And look what it does to the tears! This is immediately after applying the makeup this way. It is already stuck to my contact lens and my eye is turning red. The best way to get a brighter, wider, and happier eye is to apply underneath the lash line. Finally! We have an over the counter version of a drop optometrists have been mixing up for years. Other red reducing drops may have side effects. 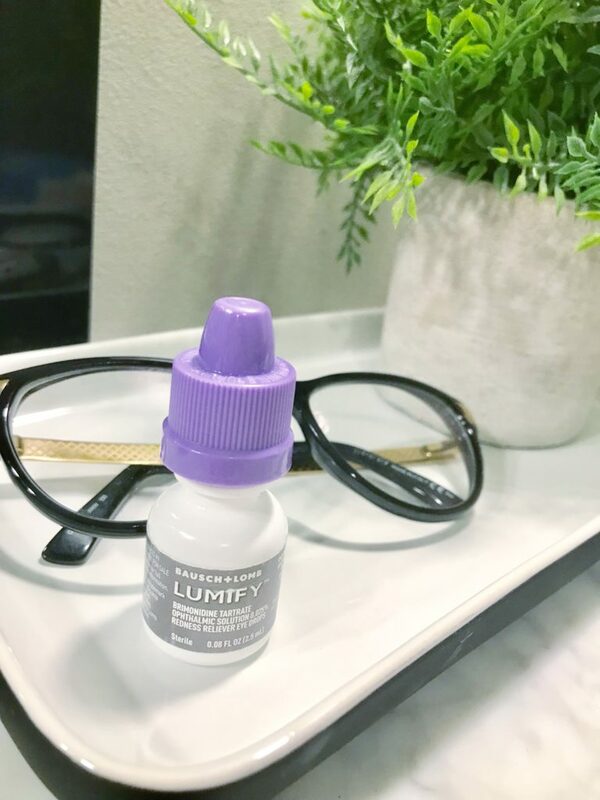 If your eyes are slightly pink or red at certain times of the day, Lumify is a great choice. Even if you do not feel your eyes are red, one drop whitens and brightens the eyes. I will put this in if I am dressing up or going out. 3. 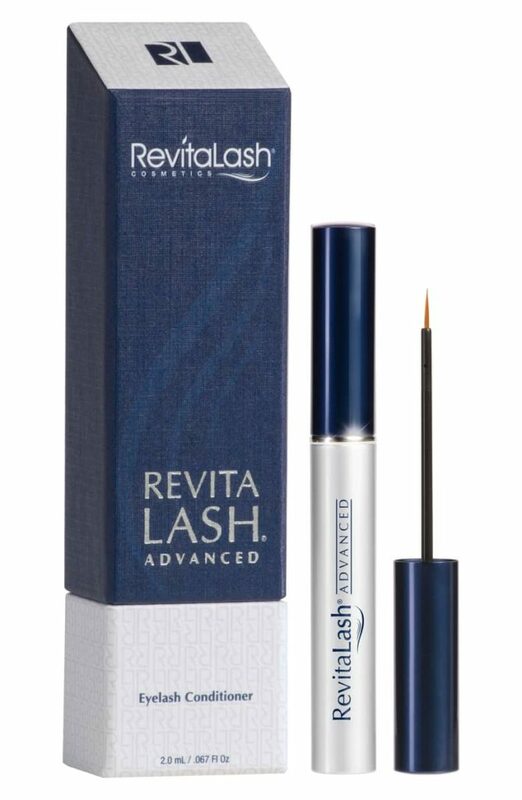 Try lash lengthening serum! Eyelashes are a big deal right now! Everyone wants great lashes! 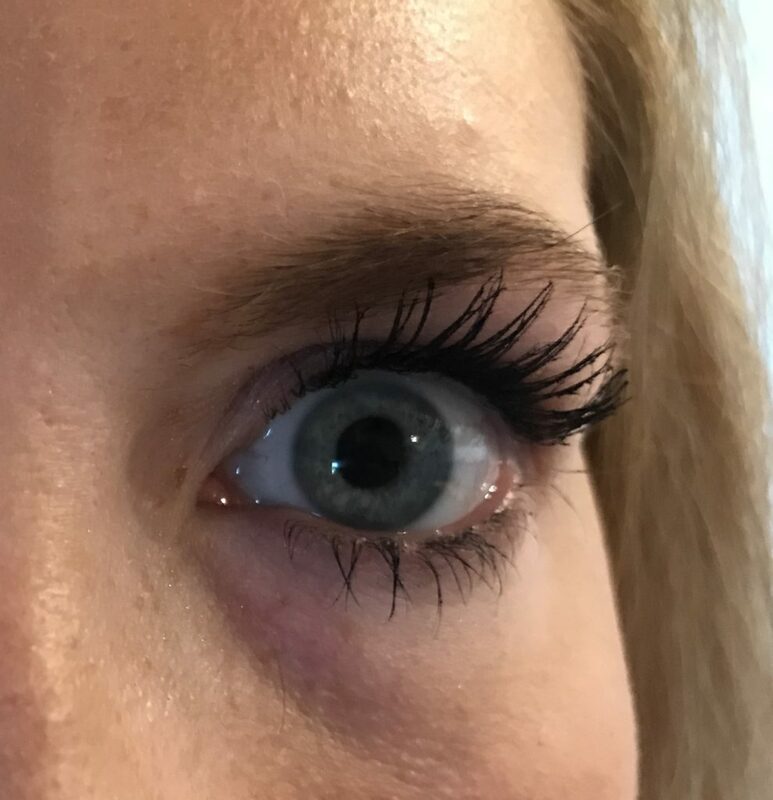 My patients are starting to ask about the salon eyelash extensions that are applied and maintained every 6 weeks. These extensions do come with risks. The eyelid may become itchy, red and irritated from having the lashes applied. 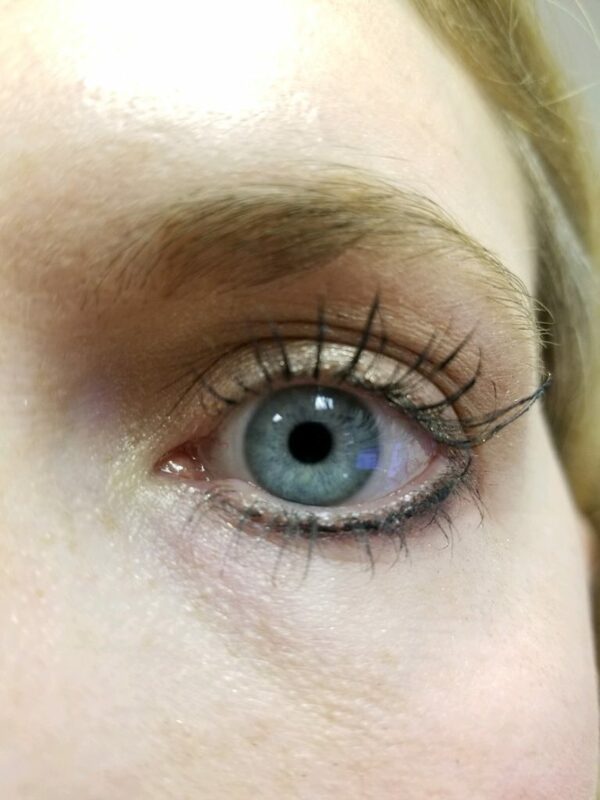 The technique used for their application can also cause an abrasion of the eyelid and provide a perfect place for bacteria to enter….a few days later the eyelid is very swollen and infected. The extensions also provide a nice new surface for catching dirt, debris and bacteria. 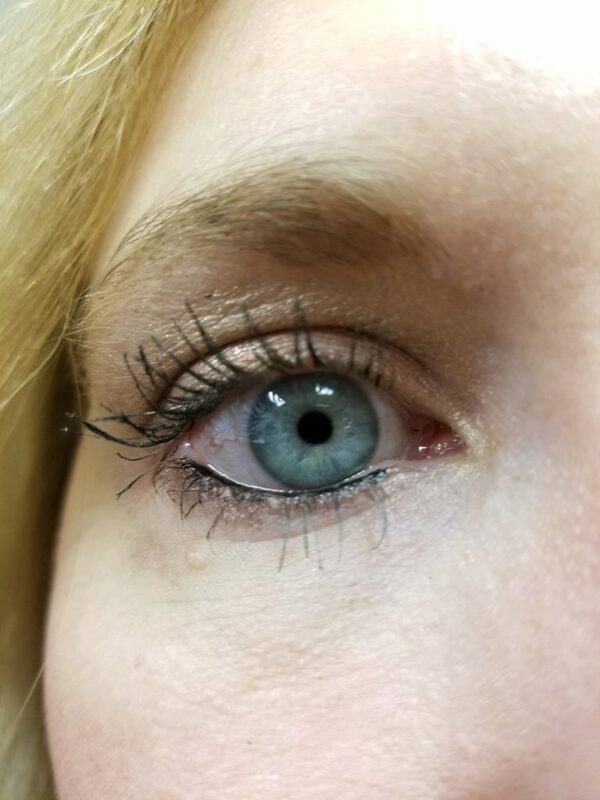 As an alternative, I recommend lash growth serums. My favorite is Revitalash. This is a quick once daily application that has helped lengthen my eyelashes. I have included a picture of my results below. 4. Try under eye gels to reduce puffiness. Unfortunately we do not have a lot of options for that pesky area underneath your eyes that may become swollen and dark. The one thing that I have found to help reduce the puff are the under eye cooling gels. They are quick and easy. 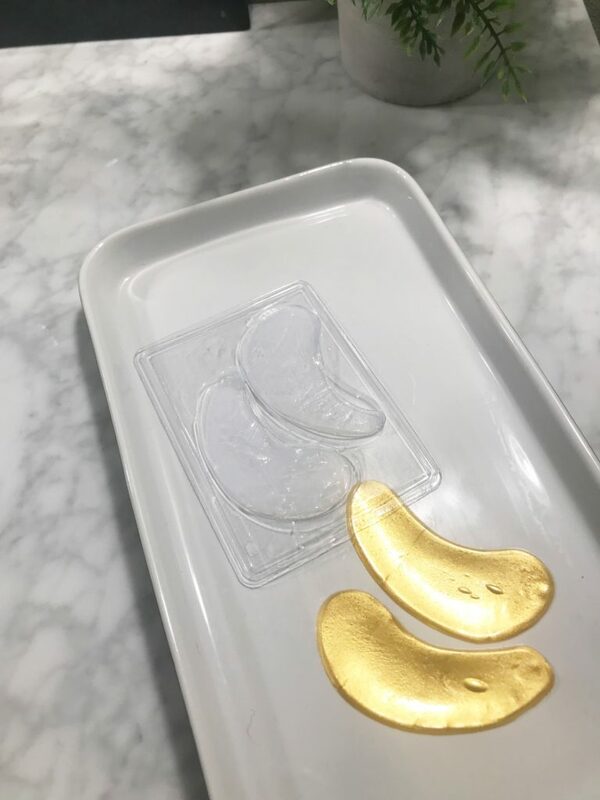 Just apply the gels for around 15 minutes and then throw away. No mess and you feel and look refreshed! I use these twice a week. 5. Avoid sleeping in your contacts! Many contact lens complications are due to not maintaining the recommended wearing schedule. That can cause the eyes to be red and sometimes very painful. The best solution for these problems are daily disposable contact lenses! I have been wearing these for over 10 years and have never had any irritation. 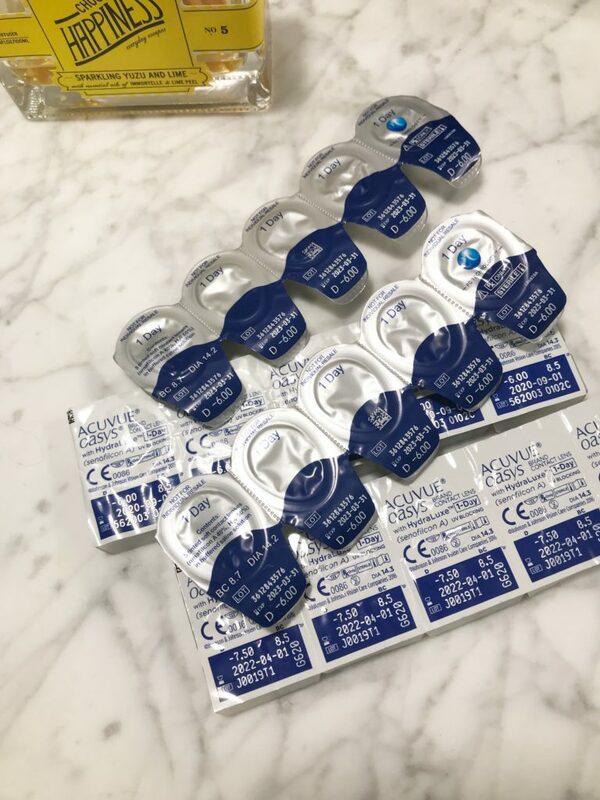 Sure they cost a bit more, but so do the solutions and cases used for storing monthly lenses… not to mention all the extra trips to the eye doctor when there is a problem. If you are worried about the extra disposable plastic in your home, talk to your eye doctor about recycling programs for these packages. That wraps up my top five! I hope these tips have been helpful. Let me know if you have other questions! 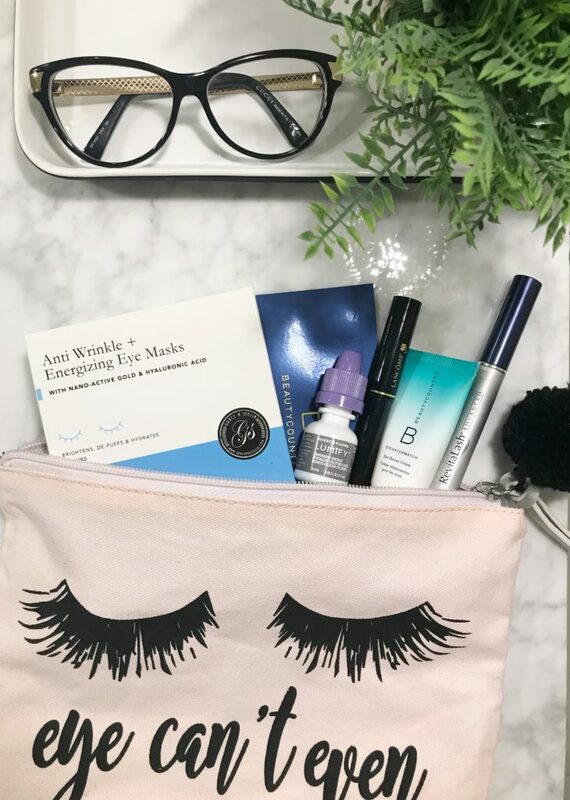 Here are some of the eye products in my beauty bag.